Walk and wade stretches of Lake Superior’s North Shore tributaries, river mouths and bays. It isn’t uuncommon to have entire stretches of a river to yourself with many wildlife sightings such as bear, moose, grouse and bald eagles. Come experience some of the most scenic steelheading you will find on the Great Lakes! Want something different? Try drifting huge sections of untouched Steelhead rivers with Tyler in a boat! The Rapids found in downtown Sault Ste. Marie offers a wide variety of speices throughout the year. 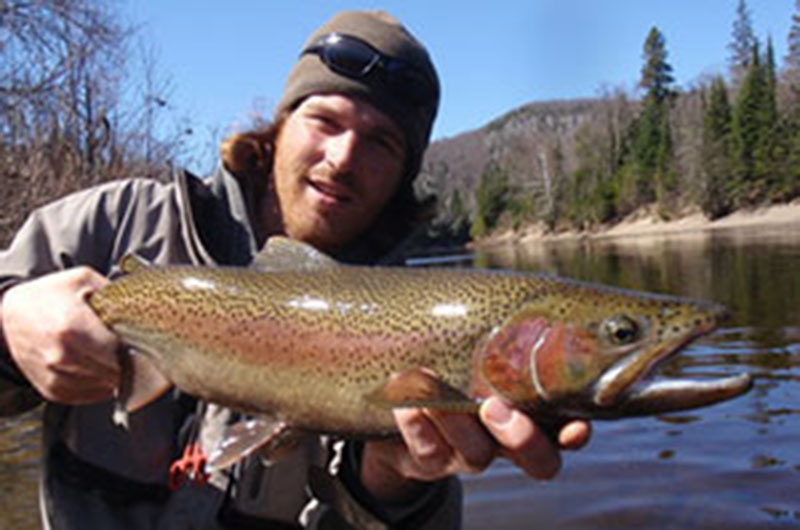 Steelhead (Rainbow Trout) is the most popular species that is found the Rapids. Pink, Coho, Chinook and Atlantic Salmon all make runs into the Rapids each season. Lake Trout, Walleye and Whitefish are also occasional catches.